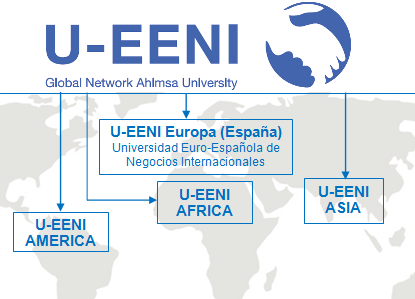 The U-EENI (Global Higher Education Network), will create other universities in Africa, America and Asia, to achieve its mission and meet the needs of students around the world. All universities and regional School of Business share resources and global strategies; each regional university is responsible for generating and developing all the activities of the University in their region, as well as designing adaptation strategies for each region. 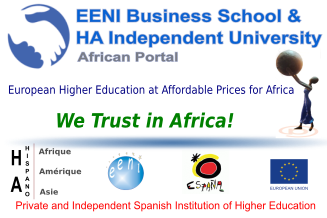 EENI Business School & HA University is a new model of University: “Global Higher Education Network”, radically different from traditional universities. 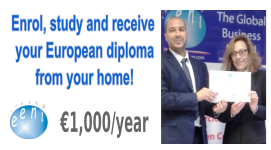 EENI belongs to the “International Commission for Distance Education” (it has consultative status, special category) of the Economic and Social Council of the United Nations. The EENI is recognised as “Good Standing School”. EENI is registered as the organising institution of the European Social Fund (European Union). 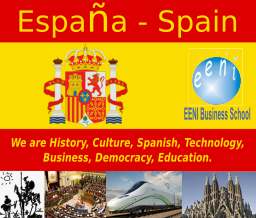 EENI is a member of the Spanish Association of School of Business. Adhesion of EENI to the United Nations (UN) Global Compact.